Dr. Villarreal weighed in on dating in the tech world, and featured in an article titled ‘Meet One Of The Tech Dudes Who Dated Those Women Flown In From NYC To Meet Tech Dudes‘ on techcrunch.com a leading technology media property, dedicated to obsessively profiling startups, reviewing new Internet products, and breaking tech news. Dr. Villarreal on Digital Hoarding, in The Wall Street Journal Melinda Beck, a journalist with The Wall Street Journal hired Dr. Villarreal as an expert contributor to her article on digital hoarding. Dr. Villarreal was hired as an expert contributor by Nicolas Diaz, a technology journalist with La Tercera who wrote Tecnologia: Los ‘cachureros’ se vuelven digitales illuminating the increasing adaptation of technology in the lives of Chileans. 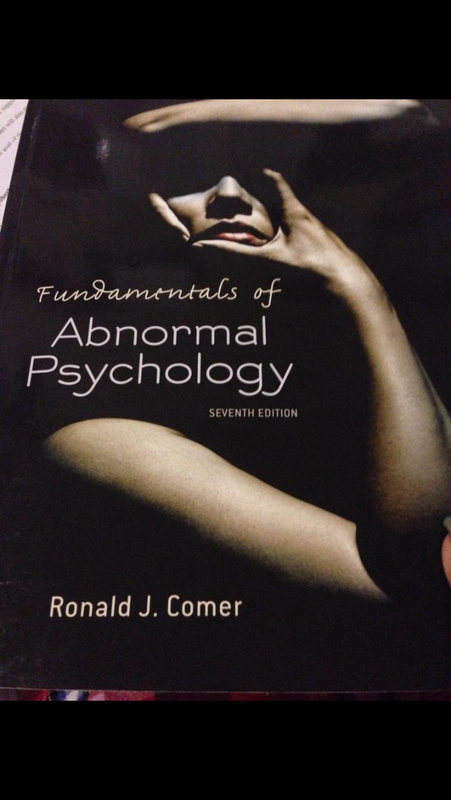 Dr. Villarreal was featured in the college textbook Abnormal Psychology, written by Ronald Comer, Director of Clinical Psychological Studies at Princeton University discussing her article entitled Black Swan- A cinematic portrayal of schizophrenia? Dr. Villarreal was featured as an ‘alumni in the spotlight‘ of her alma mater, California School of Professional Psychology (CSPP) Alliant International University. She was featured as an ‘instructor in the spotlight‘ at University of California, Berkeley in the Post-Baccalaureate Program in Behavioral Health Sciences. Dr. Villarreal has been hired to write for totalmarketing.com and topix.com as an expert contributor in the area of women’s sexual health. Justin O’Neil is an editor of Scholastic Scope, a language arts classroom publication for middle school students, and Storyworks, a supplemental magazine used in classrooms to teach reading and writing to grades 3-6. He hired Dr. Villarreal as an expert contributor for an article to be published in Scholastic Scope illuminating the psychological struggles of celebrities. Matt Lofgren a director/producer at TwoCan Films, LLC, utilized Dr. Villarreal’s expertise for character and storyline development in his upcoming full length feature film, a psychological thriller entitled ‘Alarmed’. Kelli Nguyen a writer for her school newspaper article interviewed Dr. Villarreal for her article titled “Double standards define technological culture” which discusses how different social standards are often apply to adolescents compared to adults when it comes so technology use.